Unless you’re extremely photogenic or an incredibly beautiful person you’ve probably had a bad ID photo at least once in your life if not more. What adds insult to injury with these bad photos is that they never seem to go away. For example, my latest passport photo which I’m stuck with for the next 10 years. While living in Korea my dear passport’s expiration date had finally creeped up on me and it was time to renew my little blue travel book that’s been all over the world with me since 2007 when I took my first trip abroad in college to study a semester in Italy. What was great about getting my passport renewed abroad is that instead of taking 6-8 weeks for a standard renewal, it took one week! Even though I wasn’t going to leave Korea for months this was still felt like some sort of victory to me. After setting up an appointment with the US Embassy in Seoul I thought I was ready to go until I handed over a passport photo I was extremely happy with and they rejected it because apparently, it wasn’t the proper size. Dang, I looked good in this photo. Not a big deal, I showed up knowing I had to go to work after and thought I was having a good hair day. Korea is one of the easiest places to find places to take passport photos. There are literally photo booths ALL over Korea. From cutesy photo booths where you and your friends go and pick little stickers to place all over the photo or make it look like you’re on the cover of a fashion magazine to serious photo booths where you can take passport photos. It’s very common that people in Korea have to include an ID photo with their resume when they apply for jobs. 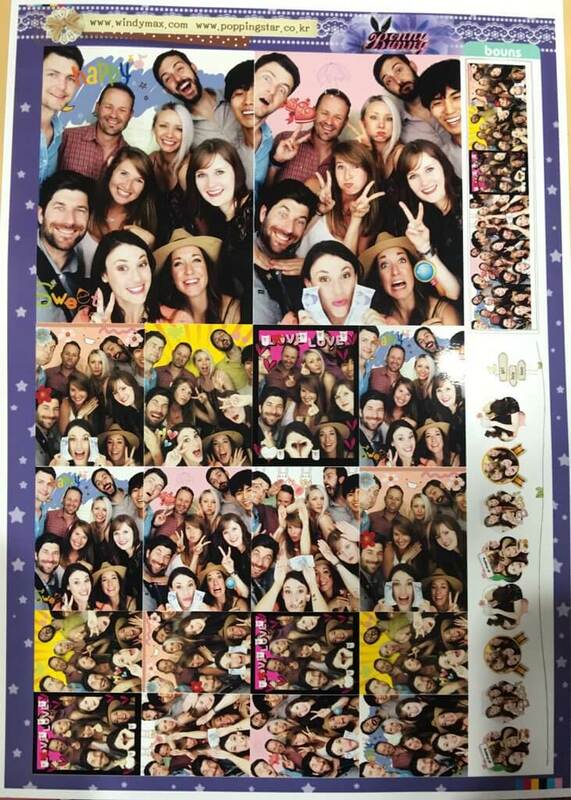 So, the photo booth industry is booming between both work and play photo booths! You can find at least one or two plain old work photo booths at each subway stop and the embassy had one conveniently located inside. I paid my 10,000 KRW and hopped in the photo booth. The countdown began, 3…2…1..cheese! I got a preview of the photo and instantly thought what da fuk is wrong with my face in this photo? Luckily I had the option for one retry. I tried again, 3…2…1..cheese trying to channel my blue steel face for a better photo. Somehow this one was worse. Not wanting to spend another 10,000 won I took the ugly photo in confusion wondering if I really could live with this as my id for the next 10 years. 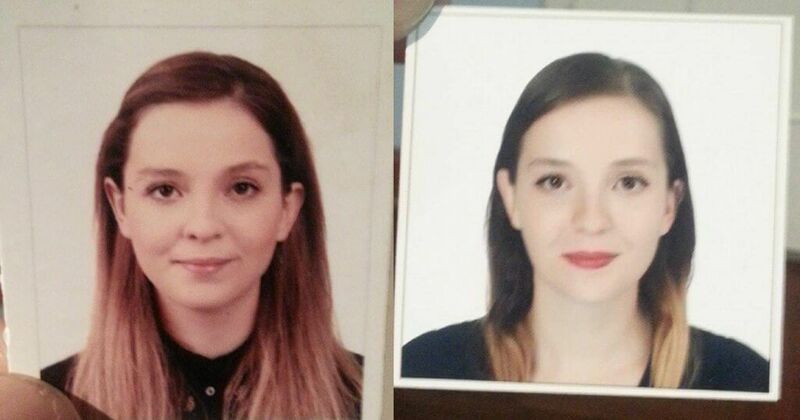 I handed over my fugly passport photo and the embassy accepted it. My souvenir of the day was getting to take home the extra copies of the photo where my face looks strange. This is where my downward spiral of irrational mind games kicked in. I kept staring at this photo thinking OMG I’m actually a really ugly person and didn’t know it until today! I never thought I was a Cindy Crawford but I had accepted and liked what I thought I looked like then this photo came along and really thunderstruck me. I’ve heard that there are people that when they look in the mirror they see themselves as an overweight person even though they are thin. I thought maybe that this was happening to me with my face in this photo and that all these years I had no idea I actually looked like this. Obviously, I was in a rational state of mind here. Finally, I came home to meet up with Scott handed him the picture and asked him to tell me the truth. Scott saved my little pity party for myself by assuring me that this photo doesn’t look like me. But that didn’t ease the pain of knowing I had to live with this photo for the next 10 years. Now I was obsessed and playing one of my favorite arcade games, spot the difference, with this photo and my real face. First the eyes. They are bigger, maybe even further apart, and my makeup looks like it’s all smeared under my lower lashes. Then my nose. What is up with my nose? There’s extra shading on the sides of my nose like a bad contouring job. Did someone pinch my nose with charcol? Also, what the heck is up with the shape of the tip of my nose? It’s rounded and more bulbous. My mouth is crooked, but maybe that was my blue steel face gone wrong and my skin was over blurred or something. 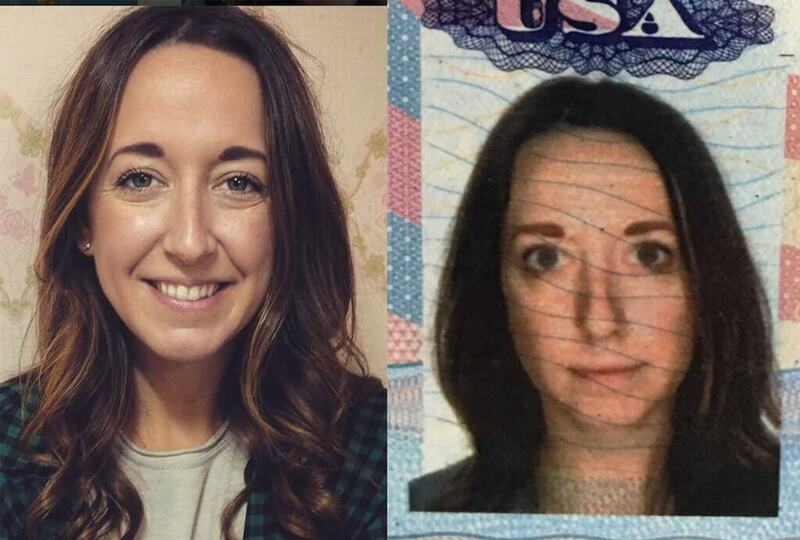 It wasn’t until this passport photo of mine came up in conversation with another expat living in Korea that I found out that all of the photo booths in Korea enhance your face according to their beauty standards. 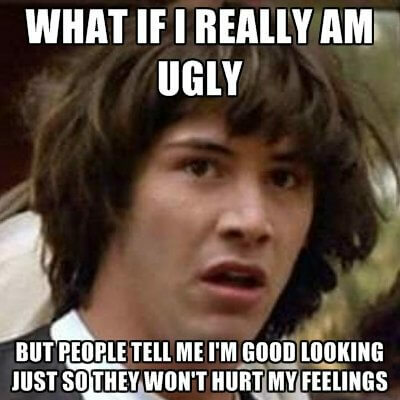 This made so much more sense now. Of course all the photo booths in Korea enhance your face, Korea is obsessed with image and is the plastic surgery capital of the world. You can’t ride a subway or walk down the street without seeing advertisements for some sort of plastic surgery poster showing dramatic before and after photos and conveying the message you won’t be happy or successful unless you’re beautiful. Looks are REALLY important in Korea and being a foreigner hearing your young students talk about all the plastic surgery they are going to get growing up is a bit of a culture shock. As a matter of fact, this is one reason why some foreigners don’t like living in Korea and some do. But wait, how can they photoshop id photos for government documents? 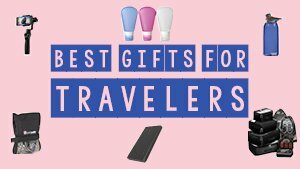 Will I have problems when I travel? All of these questions started to occur to me. So far there haven’t been any issues and there’s not much I can do at this point but this photo was taken inside the embassy. My photo also looks close enough to me and usually on travel days I’m not looking my finest anyways. 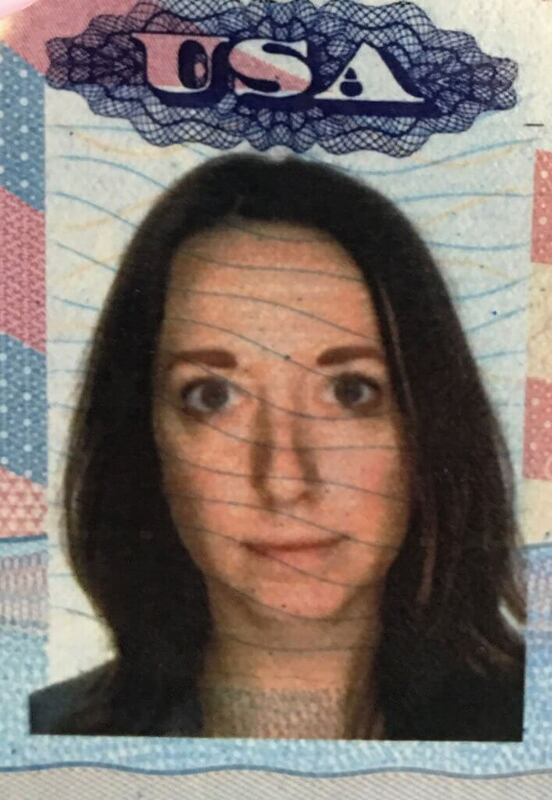 I have had this passport photo for almost a year now and find it to be sort of hilarious. It also turns out that there are tons of other expats living in Korea who made this discovery too. I needed to renew my passport, which of course meant new passport photos! So I headed to the nearest subway station where I knew there was a photo booth. 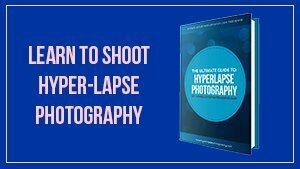 I thought these contraptions were awesome – cheap, accessible, and quick – but soon learned the pictures came out kind of weird. So I headed over to a professional photography center where they quickly took my photo and told me to come back in an hour. When I returned and got my photo, I laughed so hard that the woman standing behind me asked to see the photo for herself! I showed everyone I knew the photo – my Korean friends didn’t seem phased by it (oh yes, they fixed your face) while my foreign friends thought it was just as hilarious as I did. I was generally worried that the US Embassy wouldn’t allow the photo to go on my passport (they did). 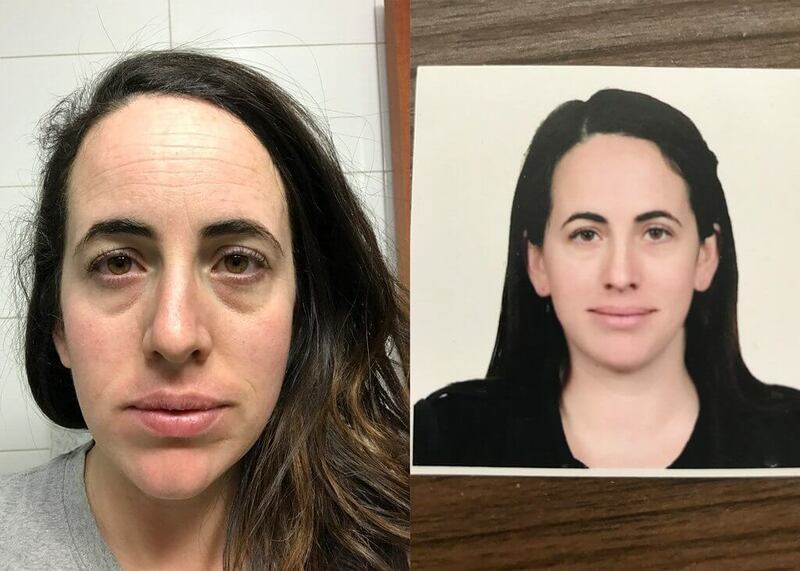 Now for the next 10 years (or until my passport pages run out) I’ll be presenting myself around the world as a smooth-skinned, wrinkle free, unnatural looking specimen – with no dark circles! 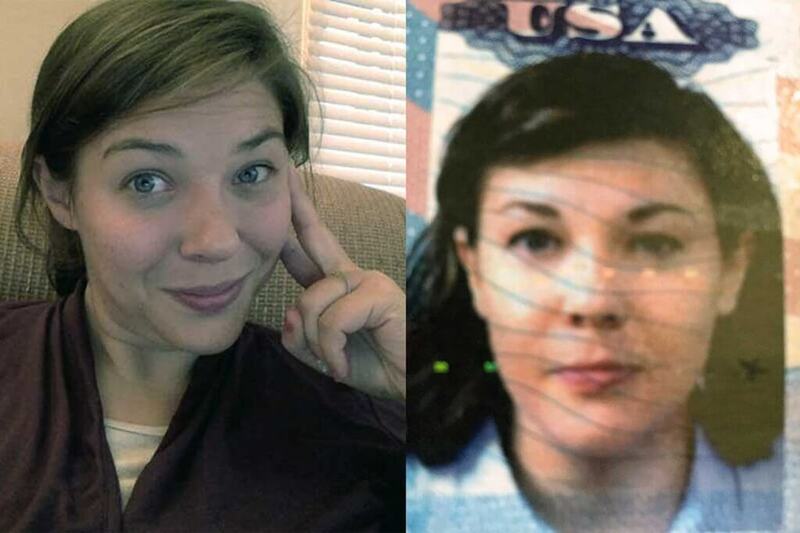 Some notes on the photos: The obviously non-touched photo was taken right around the same time as the passport photo. I have a ton of forehead wrinkles, massive dark circles under my eyes, a scar on my chin, and frizzy hair. All of these things were taken away in my passport photo + they did something to my nose, made my mouth longer and plumper, and evened out my skin tone. Not sure if I should take all of this retouching as a hint to wear more makeup or go get some plastic surgery! For now, I’m just chalking it up to the intense perfect image fixation in Korea! Follow Katie’s blog at Around the world in KT days. I knew altering one’s appearance was kosher in Korean society prior to moving there, but I never thought it would happen to me. After realizing I would need supplemental passport photos for my school and Alien Registration Card, I made an appointment with a local photo shop in my neighborhood. It seemed easy enough: go to the business on my lunch break, pose for a headshot, and pick up the photos the following day. 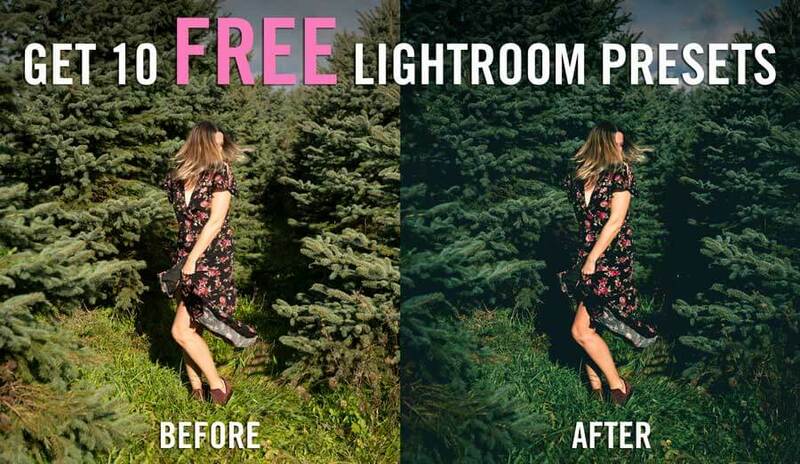 I walked into the photo shop the next day and was awe-struck. My then-chubby face was completely thinned out, my eyes were larger, my hair was a different length and my neck was even thinned out. I couldn’t help but laugh, but the humor of the situation quickly shifted to pure confusion. The employee agreed to print out the original copies of the photos, albeit reluctantly and was equally as confused why I asked him not to alter my face. The phenomena of Korean plastic surgery obsession used to anger me at times, but now that I’m no longer immersed in Korea’s superficial society I can’t really be bothered to care. It is a bit eerie, for sure! Follow Laura’s blog at Willful and Wildhearted. When we took a year-long trip around the world in 2012, the place I was probably most concerned about, was Israel. Not just because of the enhanced security involved in that region of the world, but because entry in and out of it and various other countries can be complicated by whatever stamps you happen to have in your passport at the time. Never mind if you have obviously photoshopped photos in your passports as well. Which we did. Because we’d chosen to get our pictures taken in Korea. And they’d been altered by the studio without permission. I’d been given a narrower jaw, impossibly smooth skin and a higher, thinner nose. My European hubby on the other hand, had been transformed into a younger, more hairless version of himself, with a perfectly straight nose. And sure enough, here we were, crossing at a land border from Jordan, separated for questioning, and stopped dead in our tracks. Follow Shelley’s blog at Travel-Stained. I’ve had blonde hair and freckles ever since I was a little girl. They have never bothered me or embarrassed me and I’ve never tried to cover them up. Actually I quite like them! Imagine my surprise when, after having passport photos taken for a visa while living in Korea, my face was now ghostly white and smooth with zero freckles! 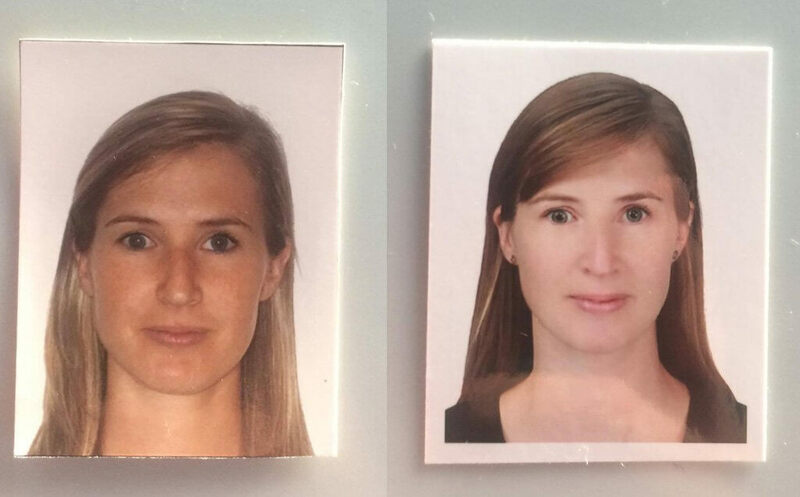 At first I thought i was just a bit pale from the change in climate but after comparing the last photos I had taken in South Africa I noticed a big difference. I’ve also noticed my yearbook photos at my school are completely smoothed over each year too (and our balding principal now has a lot of hair). Personally, I think I look a bit sick and would way prefer them untouched! Now I’m stuck with these on my brand new passport for the next ten years! Follow Kayley’s blog at Chasing KM. Much like going to the dentist, getting passport photos taken isn’t something I usually look forward to. When I arrived in Korea and got told I had to get a passport photo taken for my registration card, I cringed. I had just taken a long distance flight and was suffering from my first soju hangover. However, when I saw the photo, I was extremely surprised. Who is this girl with flawless skin and naturally pink lips?! I was very impressed by the wonders of photoshop- in the UK, I asked a passport photographer to remove some fly away hairs and got a slap on the wrist for such a suggestion. Since that, I’ve had a variety of passport photos taken in Korea, and everytime I love the results! Next time I need to update my passport, I definitely want to make a beeline for Korea to get some flawless passport photos! Follow Nicole’s blog at Wee Gypsy Girl. Living in a smaller city (Yeosu), my wife Christina knew it might be tricky to get her passport made without any tricks. 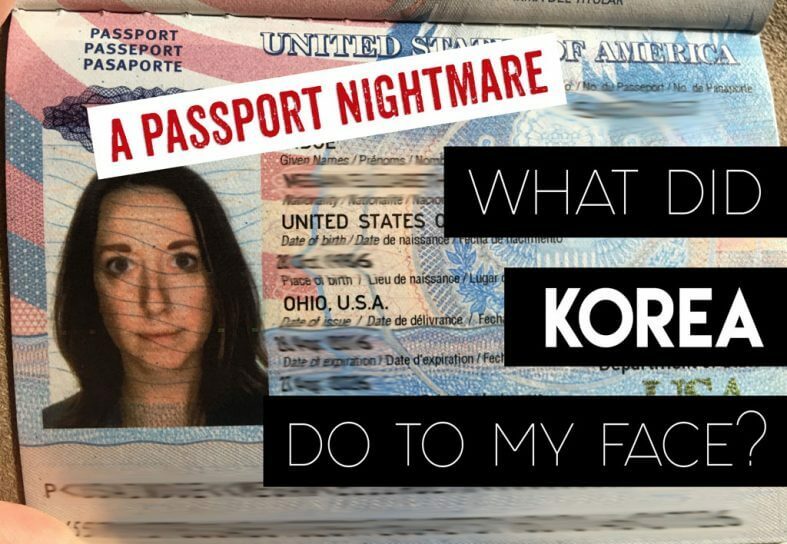 Her co-teacher prepared a note that basically said: “no photoshop” in Korean and off she went to get pictures made before getting her passport renewed. 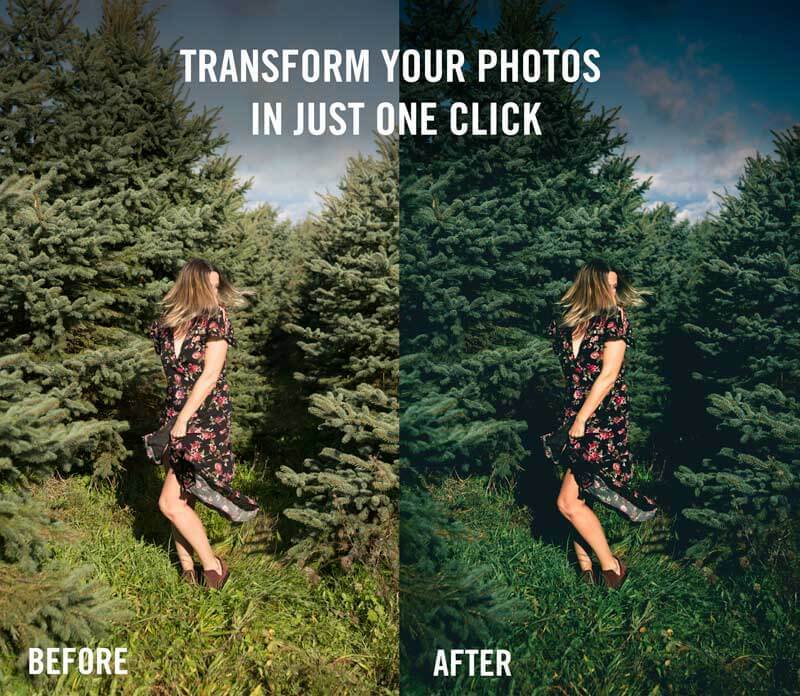 Her face was altered anyway. The magician, the photoshop wiz, whatever you name it, enlarged Christina’s eyes and thinned her face out. It’s quite a professional look to her and might get Christina into a Chaebol but not sure if all this altering would get her a passport in the US. Haha. Follow Carl’s Blog at Duke Stewart Writes. So the million dollar question, will I have issues with this photoshopped passport photo that “enhanced” features I didn’t want to be altered? I am guessing not since we have been to several countries since and have had no issue. Maybe it’s because when I travel I already look a hot mess or maybe the differences are only subtle but just drive me crazy. They say you’re your own worst critic. We would love to hear of your experience with a bad identification photo! Share yours in the comments below!